Hey man. Who’s in the mood to get swept? I’m starting to worryÃ‚Â that Cleveland has cast off its cloak of despair and it’s just floating down on our shoulders and there’s not one blasted thing we can do about it. Luis Perdomo 9.00 47.0 43 2.11 Kill it! Anthony DeSclafani 2.30 15.2 10 1.66 Okay. If you had “Concourse BÃ‚Â ofÃ‚Â Cincinnati/NKY International Airport” in the Where The Apocalypse Will Begin Pool, please proceed to the window to collect your winnings. I just embedded my own tweet in my own post ‘cuzÃ‚Â I’mÃ‚Â paddling like a proÃ‚Â on the Narcissist Kayak today, people. Mary Beth, I sense you are running on empty about as much as I am in regard to finding much interest in the actual game today…..
Stephenson starts for the Bats today. That may be one of the more interesting catching baseball things happening in the Reds org. Empty indeed. 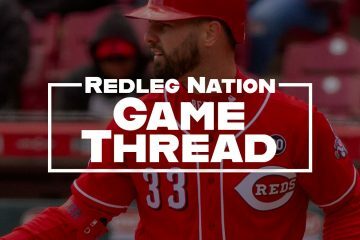 This has been an extremely difficult weekend for several reasons, and being assigned the game threads at a time when I’d rather tune out everything Reds has been… interesting. In any case, there’s no possible commentary I could offer on Marty’s shirt anyway, as it more than speaks for itself. My most interesting baseball story of the weekend was the 60th wedding anniversary open house for my uncle (dad’s brother) and aunt yesterday. Back in the 1950’s when there were baseball “Sunday leagues”, my uncle played on a team with guy who had a sister who asked her brother to introduce her to “that guy” (my uncle). Their “first date” was sitting on the bleachers after a game, or practice. 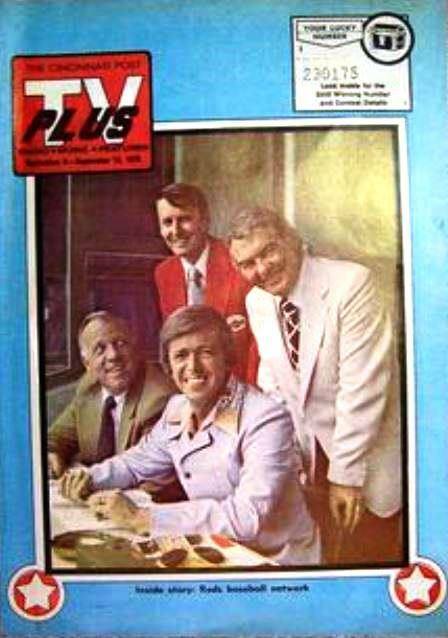 talking baseball and life for an hour or more; and, per their report, things just sort of took off from there…..
Mary Beth is our Good Luck Charm. Perhaps with a right hander pitching today, the Reds can find a victory. I don’t know if Mary Beth can still legitimately be considered the good luck charm after this fiasco of a series. In that picture, Marty looks like an adult films talent scout…sitting in a Z-28…looking for fresh talent walking out of a Ground Round. Ground Round, man. Now that’s a name I’ve not heard since… oh, before 95% of this team was born. Yeah, there’s a little resemblance to Wooderson. He keeps getting older and the talent stays the same age. Ken Rosenthal (@ken_rosenthal) seems to think the Dodgers may have some interest in JBruce; and notes the Dodgers are NOT on Bruce’s no trade list….. I have a feeling this will not be the Reds sixth sweep lose of the year with Disco on the mound. In hitting there is the “Mendoza line.” If someone has not already done so, I propose a similar thing for pitching. I am going to call it the “Simon line.” Any pitcher with an ERA 9.0 or above has crossed the “Simon line.” In Perdomo we get to face a pitcher who has crossed the Simon line. Pads must be taking base running lessons from the Reds. Two innings, 2 outs on the basepaths. Not sure if they qualify as TOOTBLANs but the Reds will take the outs regardless. So JC Ramirez is gone? The Angels picked him up off waivers? That’s the buzz. No doubt they were staging him for outright. Be interesting to see if they stick with 8 relievers or instead bring up a position player…. Nobody seemed to know he had been put on waivers until the announcement that he was claimed. 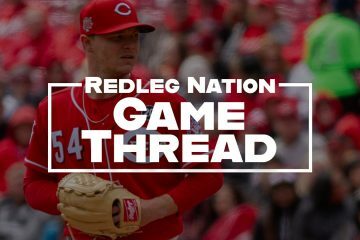 Did the Reds need to make a move to reinstate Blake Wood from the paternity leave? Or was that done previously? Move for Wood got done Friday; Waldrop was optioned. They would have had Ramirez on waivers for purpose of outrighting (or releasing) him without using the DFA process. They’ve done this sort of thing a couple times recently; but, it tended to be under the radar because the player was already in the minors and was just dumped from the 40 man when they needed a slot. Plus of course Somsen got claimed when they tried it with him. If they bring up a pitcher versus going back to a more normal 7 man pen; my guess would be we might see the lefty Wandy Peralta. He is at AAA and not on the 40 man; so, they would need that slot. According to Sheldon, no corresponding move to replace Ramirez on the roster yet. We make every pitcher look like Cy Young because our hitting approach is always the same,We live and die by the 3 run homer and it won’t change unless the front office changes the way we run our farm system and the way we draft and trade for players. I think you mean “solo homer.” 3 run homers require 2 people to reach base via something other than a homer. Yeah, Perdomo has a 9 ERA coming into this game and the Reds have put up 2 runs in 5 innings. I am not watching the game, and have no idea what kind of stuff this kid has, but the Reds are cold hitting wise. Look for them to get swept by the Cubs this week. Onward to 100 losses. And Senzel is not hitting at all at Billings. Of course, it’s early. Or late, depending on your viewpoint. We have 5 hits in 5 innings against a guy with a 9 era who had given up 76 hits in 43 innings.Disco better not let them score more then 2 or we will get swept.Yes BP still looks awful at the plate. Tough to say how BP looks at the plate when he averages less than 2 pitches. If every player did what the #3 hitter is doing, Perdomo would need exactly 45 pitches to throw his perfect game. You mean it’s permissible for a Reds pitcher to get a hit??? Disco ends 0-for-48 hitless stretch among Reds pitchers with an RBI single. I like the 0 walks from disco so far, it’s a refreshing change. Votto walks on 4 pitches,BP pops up on the first pitch and Bruce grounds into a double play 3 pitches later.These things from veteran major leaguers just amaze me sometimes. BP has seen 6 pitches in 4 at bats.I love the guy but don’t you have to drop him down in the lineup?He can’t possibly have his mind on the game. I agree. Almost an automatic out at this point. What a nice outing from AD today!! Since it’s a save situation, it’s Cingrani. That was funny. Nice work.